Adam Michael has this to say “One of the best rose ottos I have ever experienced and possibly only on par with the Persian Petals Otto, this Rose Bulgarian Otto literally shines with its dewy-fresh, translucent and softly addictive enchanting fragrance. The head notes are luminous, juicy, diffusive rosy-lemony. Very slowly the aroma charmingly progresses to a graceful fresh rose petals heart. 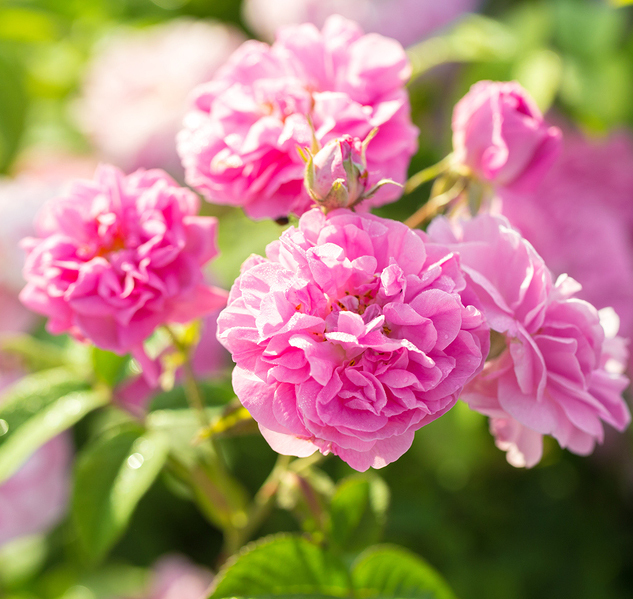 Whilst rose absolute materials tend to be sweeter and earthly, this essential oil is all about fresh rose petals in the mid spring breeze, so airy, suave and heavenly it almost doesn’t belong on earth. At Hermitage Oils, we ♥ love rose absolutes, ottos, concretes and co2’s so very much, that we have now created a page dedicated to roses here.